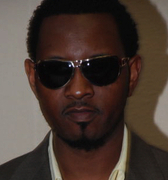 LAPORTE ON IF GAZZMAN DISIP NEED A NEW HIT CD TO SURVIVE IN THE HMI + OPTION CD NEWS + MORE! *LAPORTE ON IF GAZZMAN DISIP NEED A HIT CD TO SURVIVE IN THE HMI! *2 GUITARISTS CURRENTLY ACTIVE IN AN HMI BAND THAT LAPORTE RESPECTS THE MOST! *OPTION LAPORTE...3 SONG TITLES FROM UPCOMING CD!